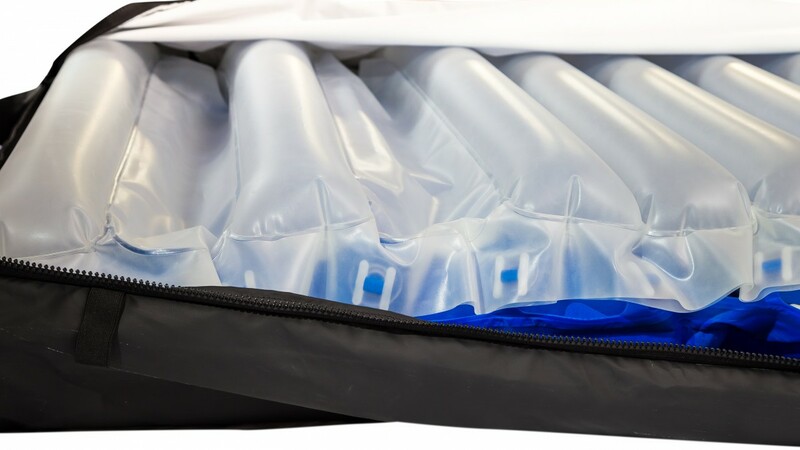 UK pressure relief specialist, Rober is dedicated to reducing pressure ulcers around the world. Rober’s Spanish partner Lorca Marín, who has worked with the company for over 18 years, explains why his customers love using Rober’s specialist pressure relief technology. 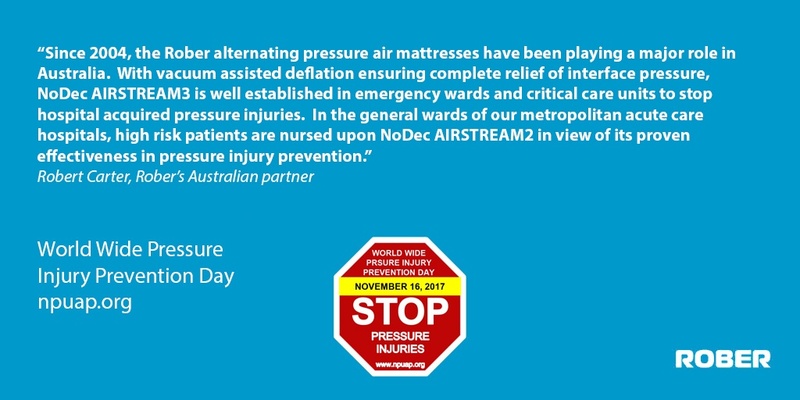 Worldwide Pressure Injury Prevention Day is taking place on November 16th, 2017. Organised by the National Pressure Ulcer Advisory Panel (NPUAP), its objective is to increase global understanding of pressure injury prevention through education. 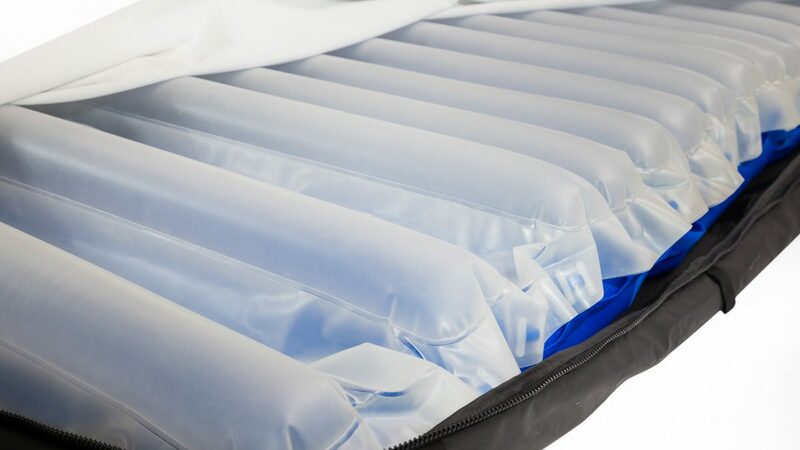 This week to help raise awareness, dynamic air mattress specialist Rober, has spoken to a few of its international partners to find out more. 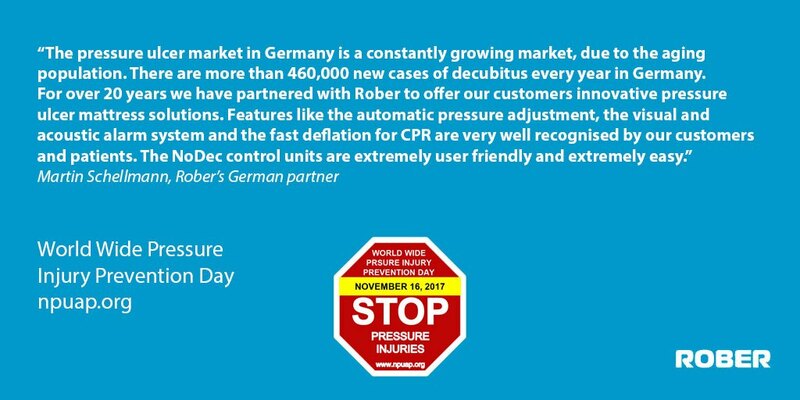 November 16th, 2017 is Worldwide Pressure Injury Prevention Day. Organised by the National Pressure Ulcer Advisory Panel (NPUAP), its objective is to increase global understanding of pressure injury prevention through education. 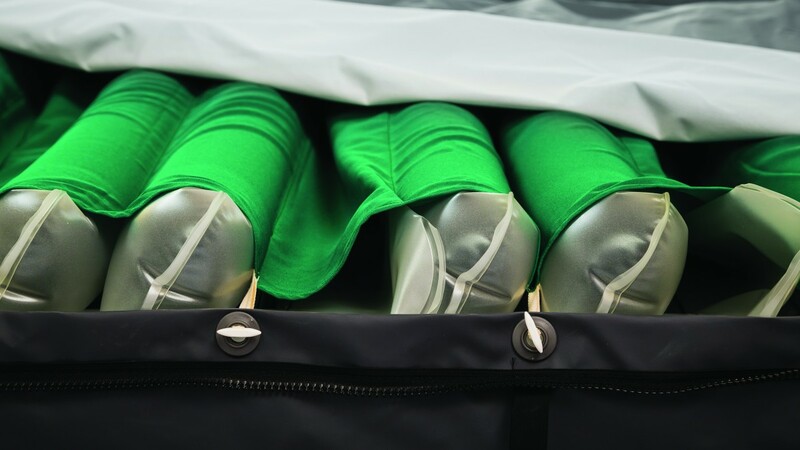 To help raise awareness dynamic air mattress specialist Rober, has spoken to its German partners to find out more. This is where pressure ulcer mattress specialist, Rober is making its mark. 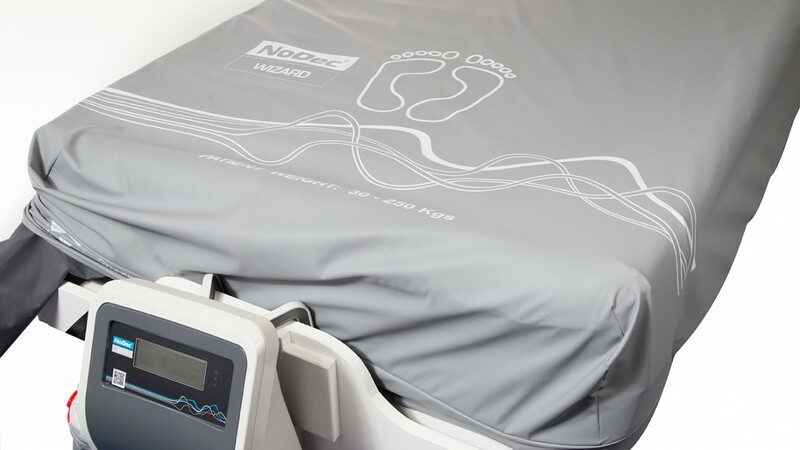 Since the recent launch of its NoDec™ WIZARD the UK ‘zero pressure’ ulcer specialist has delivered one hundred Wizards, which are now in use by critically ill patients across Europe. 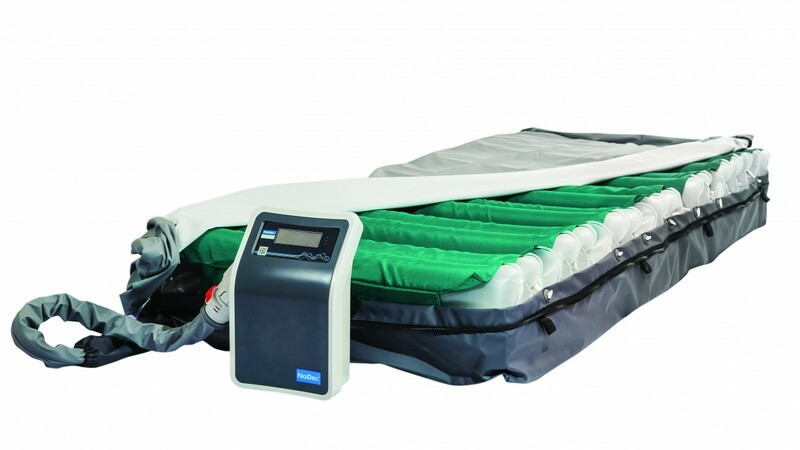 Pressure relief mattress specialist, Rober, has launched the NoDec® BARI, which offers protection for bariatric patients weighing up to 400Kg. 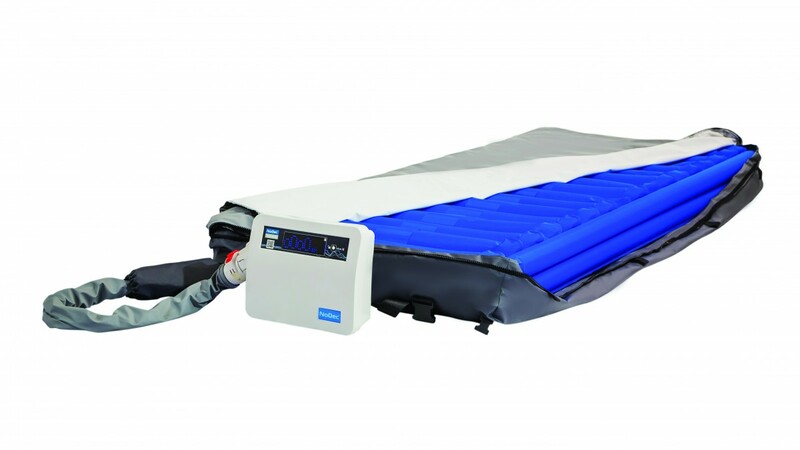 Pressure relieving mattress specialist, Rober, is pleased to announce that it has maintained its ISO 9001:2015 status following a recent quality audit.